At this year’s Star Wars Celebration in Chicago, the Oculus team is showing off its latest collaboration. 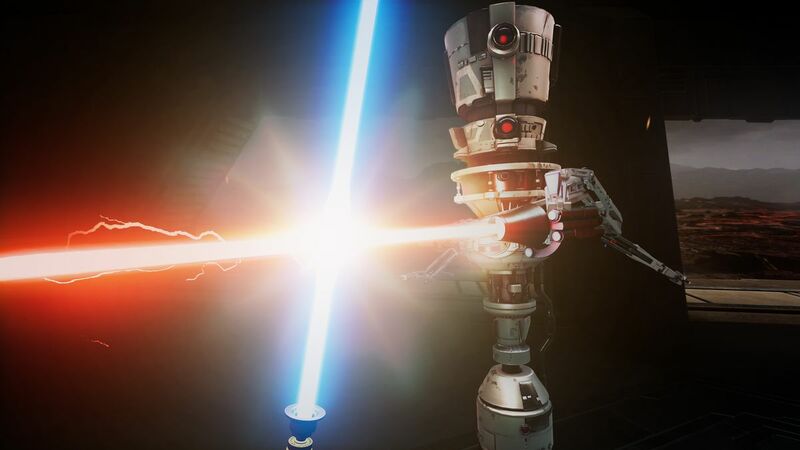 CalledVader Immortal: A Star Wars VR Series, it’s a cutting edge virtual reality game that allows players to live out the fantasy of fighting with a lightsaber. After spending some time with it during a short demo, I walked away extremely impressed. What makesVader Immortalso interesting is the blend of haptics and sound design, both of which will see an upgrade with the new Oculus Quest and Rift S when they are released this spring. One of the intractable issues with melee-focused VR games is the matter of feedback. When swords clash in games likeThe Elder Scrolls: Skyrim VR, for instance, it feels fake and floaty. The controllers have very little heft to them, and there’s nothing pushing back when a blade connects. The same is true of the new motion controllers bundled with the Oculus Quest, of course. They are little plastic things barely larger than a pistol grip, but with one key exception. Each one has built-in vibration. Igniting the saber, I was greeted with a constant thrum in my right hand. Then, when I instinctively went to take a two-handed grip, that vibration extended to my left. When I went to swing the blade around, like I’d done thousands of times as a child, I could hear its solid arc of energy humming and whistling as it passed by my ear. While the in-game enemies didn’t push back at me, the blade itself felt alive. And that was enough to suspend my disbelief and leave me delighted. Colum Slevin, head of media, AR/VR experiences at Facebook, said he was just as surprised as anyone at how immersive the experience can be. He gives much of that credit to his collaborators on the project, LucasFilm’s ILMxLAB, a specialized team of engineers and storytellers focused on the AR and VR space. The Oculus Quest was designed to be a stand-alone device, one entirely without the need for a gaming computer or even a handheld device to serve as its screen. When it releases later this year, Facebook hopes it will extend the install base for VR much wider than it is right now. Experiences likeVader Immortal, which will ship with an “endless” lightsaber dojo experience, are sure to help. ButVader Immortalalso brings a degree of risk for LucasFilm. Darth Vader is a keystone in the Star Wars franchise, and recent explorations of his character have shown him to be a thrilling and dynamic character, ever more than 40 years after he first appeared on screen. Most recently, audiences cheered as the dark lord of the Sith eviscerated a dozen or more Rebel troops at the end ofRogue One: A Star Wars Story. Now, Oculus and ILMxLAB will put players in the same room with him, and arm them both. Luckily, the’ve found the right man for the job in Mohen Leo. The LucasFilm employee served as the visual effects supervisor onRogue One. ForVader Immortal, he’s handling the game’s narrative design. Vader Immortalwill have three narrative episodes, each roughly one hour long, in addition to the lightsaber dojo. No release date has been set. 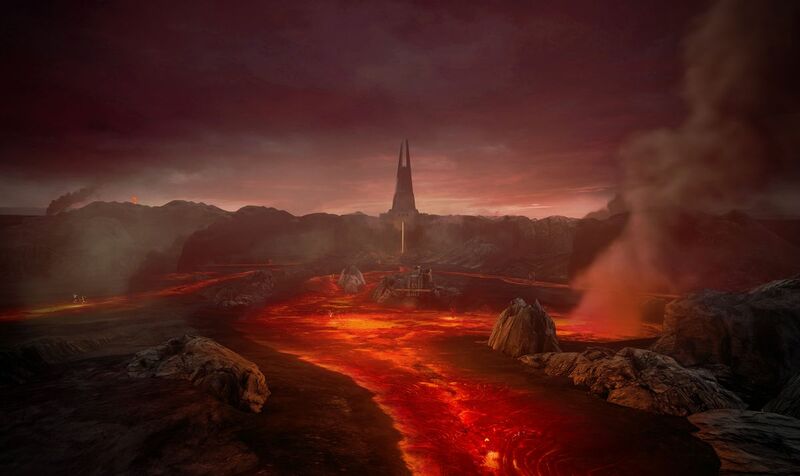 Mustafar, as depicted inVader Immortal.